Minecraft is a huge hit. How huge? The PC version of the game just broke the 11 million sales mark. When Minecraft first debuted in May of 2009, few could have imagined how big a hit the title would become. In the four years since that time, Minecraft has received ports to the Xbox Live Arcade, iOS, Android, Mac and Linux operating systems, and an Xbox One version of the game is slated to appear as one of the upcoming console's launch titles. That would be more than impressive by itself - especially given Minecraft's indie roots - but this morning it was announced by Minecraft creator Markus "Notch" Persson that the game's original PC iteration has surpassed 11 million units sold to date. That's a huge figure. Far too large for any human person to reasonably conceive. So, for reference, we'll simply point out that this achievement ties Minecraft with StarCraft and Battlefield 2 for the rank of fourth-highest selling PC game of all time. The only PC games that have sold more are Diablo III and the first two Sims games. But with all of those versions of Minecraft available, it seems a bit myopic to merely judge the title's success based on sales of its PC version, doesn't it? It does. So how has the game fared in total? 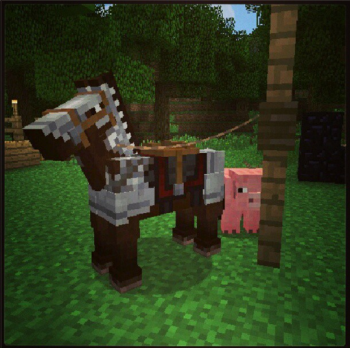 To date Minecraft has sold over 27 million copies across its various incarnations. For reference, the massively popular Wii Sports - a game that was sold in a bundle with Nintendo's Wii console for quite a while - has only managed to sell 22.67 million units. Propers to Mr. Persson and the team at Mojang for all of their success. They've earned it, and I hear they're quite attractive people. I'm not just saying that because I'd really like a hot tub, but if somebody over there wanted to send me one in thanks for my kind words I wouldn't turn up my nose at it. What I lack in ethics, I more than make up for in massive hot tub-centric corruption.